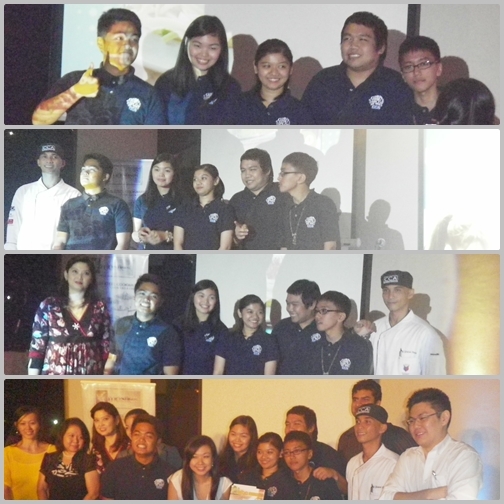 Last Thursday May 26, 2011 I was fortunate to attend the 1st pasta cook book of ELBA Italy's "My Elba Kitchen" launched held at The Grove by Rockwell. 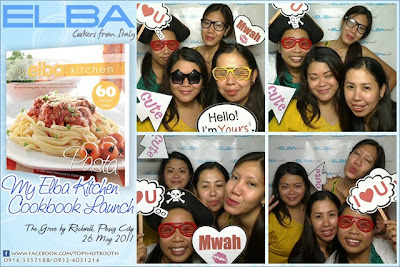 The event was attended by the prominent people of cooking industry. 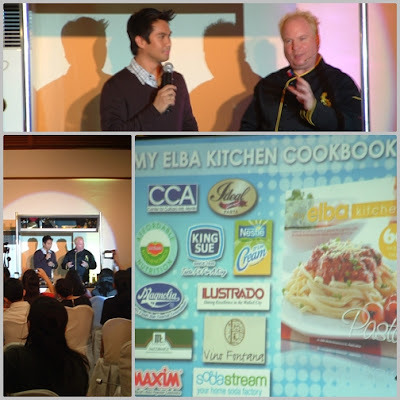 The launched was sponsored mainly by The Grove by Rockwell and Ilustrado Catering Group and with cooperation of the young culinary artists/talents from one of the Manila's top and pioneering culinary school, CCA. Chef Darin Epp from MAXIM cookwares started the cooking and presented his mastered talent with the crowd with a pasta dishes that can be found within the cook book itself. 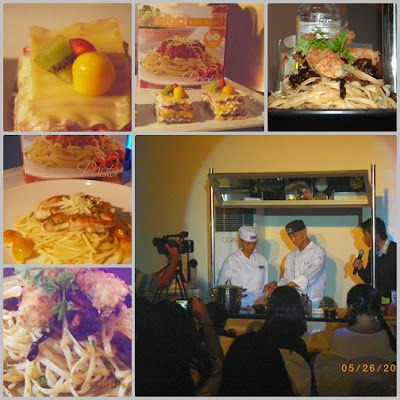 Furthermore Chef Richie Custodio, wow the crowd with his collabaration and features of cooking together with the CCA manila students as his assistant perfectly cooked every meal. 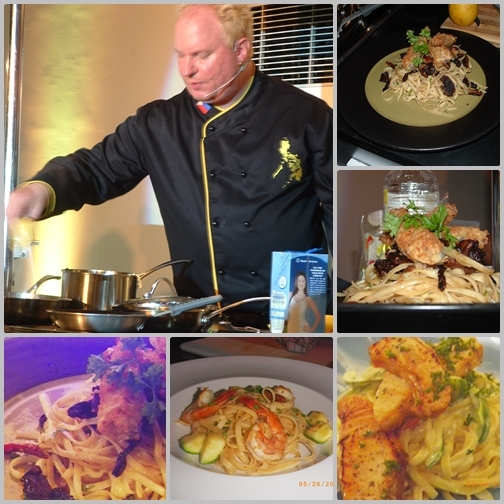 Chefs, media personalities, cooking experts and suppliers gathered around in one roof to make this launched a successful event. 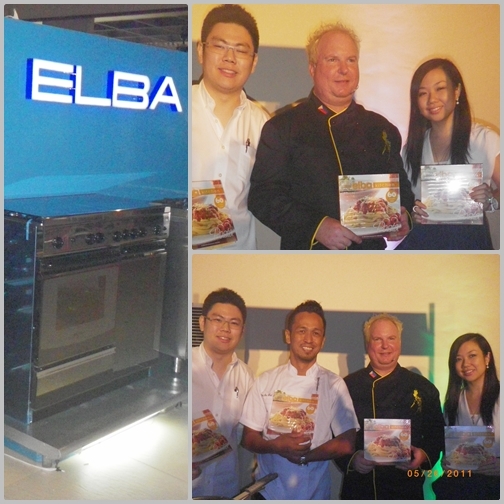 Joined by the ELBA's main celebrity Chef endorser Chef Sau del Rosario, Treviso Corporations Samantha and Brian Hontiveros and Chef Darin Epp. And to finished the evnt of course the photo opps of the people behind the successful collabaoration of this cook book like the 9 CCA students and their guru Chef Richie Custodio, Ideal Pasta and ELBA executives and other sponsor bosses and representatives. 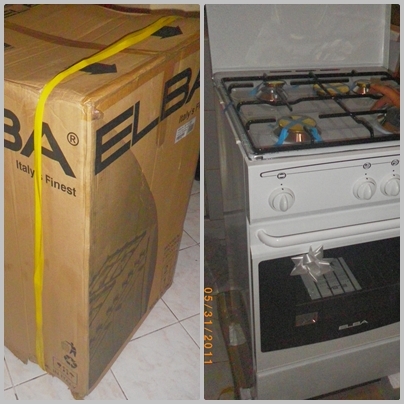 @Pepper, Thanks sis hehe...exciting to bake cake na yeayy..
@Joy, yes sis you should and lets cook pasta together heheh....hugs for you sis mwahhhget well soon mwahhh..